I decided to go on a little shopping spree the other week. I buy a lot of my clothes online these days (hello ASOS) as I never have enough time to go out properly shopping at precidents and malls such as Bluewater or Lakeside. However, I went to my local shopping mall the other week as I wanted to visit Primark and have a general look around and I was so happy to have picked up some mega bargains! I find this store to be so hit and miss but actually the had some great trends in store this time around so I wasn't disappointed. I picked up a metallic faux leather skirt for £8 which is going to be a major trend this season and also a pretty royal blue dress for £10 which is a skater style and has longer sleeves. They also had lots of velvet pieces around. Then I picked up the essentials of roll neck jumpers in black and grey for £6 each along with a lace bralette set for just £4. I got a grey long sleeved tee for £2 because you can never have enough grey tees. This store I picked up some real bargains as they were doing 3 for 2 on makeup and BOGOF on skincare. 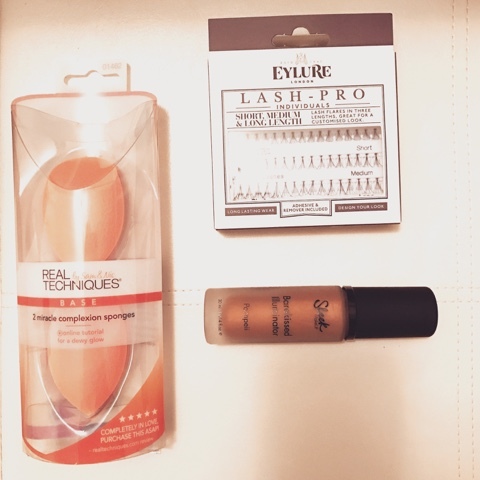 I got a duo pack of the Real Techniques sponges as I find them just as good as the Beauty Blender, I got some individual lashes which I'm excited to try and a Sleek primer in bronze to match my fake tan. 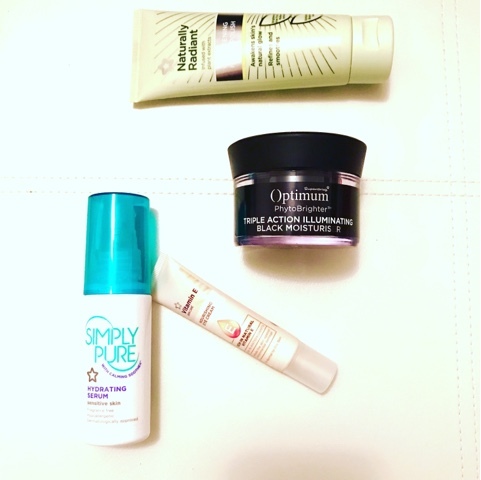 In skincare I got the Naturally Radiant face polish as this is my favourite range, a black (yes black) moisturiser that promises to brighten the skin, a vitamin e eye cream which is cult and the Simply Pure serum. I also got two for £4 on hair dye. So I literally saved £20 in this shop! 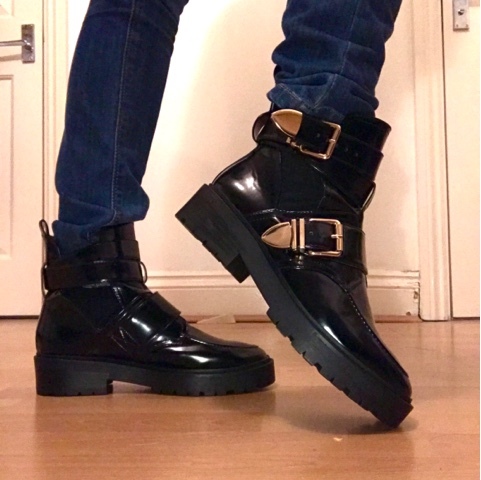 I picked up these Balenciaga dupes in the sale for £30. I got a faux leather burgendy skirt that I've wanted for ages and it kept selling out! So that was all my bargains for this month. What have you been picking up?